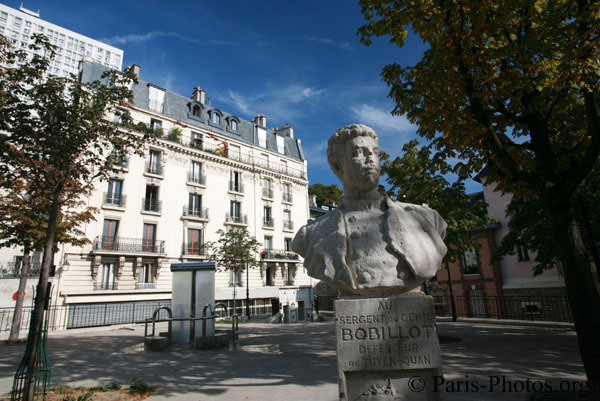 The Butte-aux-Cailles is quarter of XIIIe (13th) arrondissement of Paris. It means litterally "quails' hill", and is on one of the little hill of the city. It is known for "little village style" : while walking in the streets, you will see many little houses, that is not very common in the center of a big city like Paris. It is quiet neighborhood. 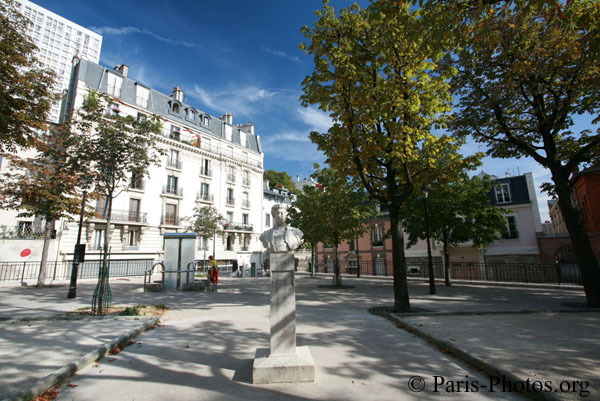 The Butte-aux-Cailles street starts from the Verlaine Place. This picture was taken on a sunny sunday afternoon (September 9th 2006). It shows well the quietness and "little village style" atmosphere of this quarter. The frontage of the Art Nouveau style Verlaine swimming pool is built with red bricks, which is not common in Paris. 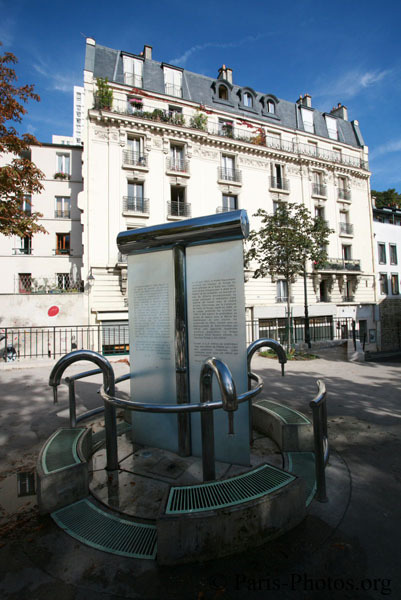 This fountain of drinkable and free water is located in the center of Verlaine Place. The water is quite good, I often go there to get water because the calcium rate is very low and good for some plants. The Butte-aux-Cailles (litterally quails' hill) is located in the XIIIe arrondissement, in the southeast corner of Paris, on one of the little hill of the city. 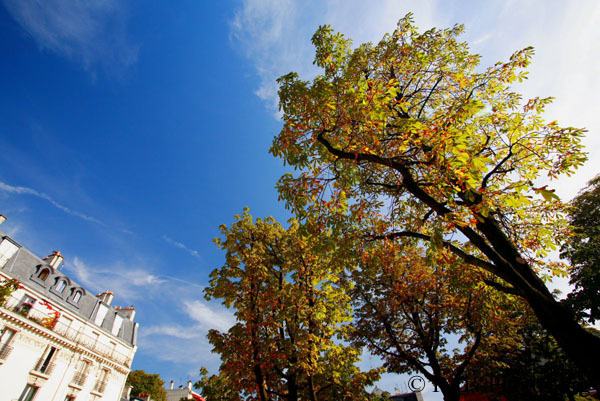 The 13th arrondissement is home to Chinatown and has as a small vibrant North African population, but the area of the Butte-aux-Cailles rather assembles a young, trendy and festal parisian population gathering in the bars and restaurants. 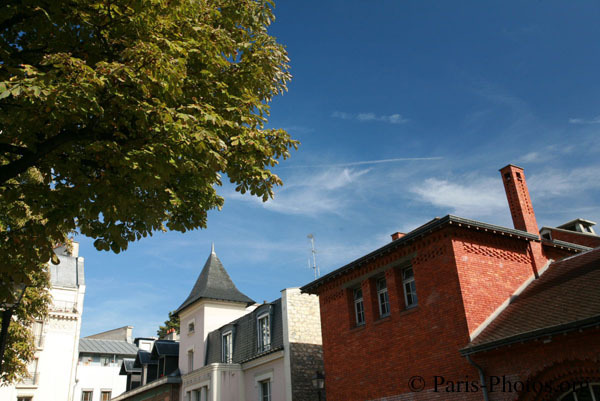 The Butte-aux-Cailles has a village feel, as it was incorporated into Paris only in the late 19th century.